If you have any questions or want to enquire about dates, use our form to contact Richard & Sarah Townsend or see their website for more information. The landscape is rural and rolling, the lanes are quiet, and Healey is pretty-as-a-picture. Richard and Sarah, relaxed and genial, offer homemade cakes and coffee and the cosy feel of their home will put you instantly at ease. 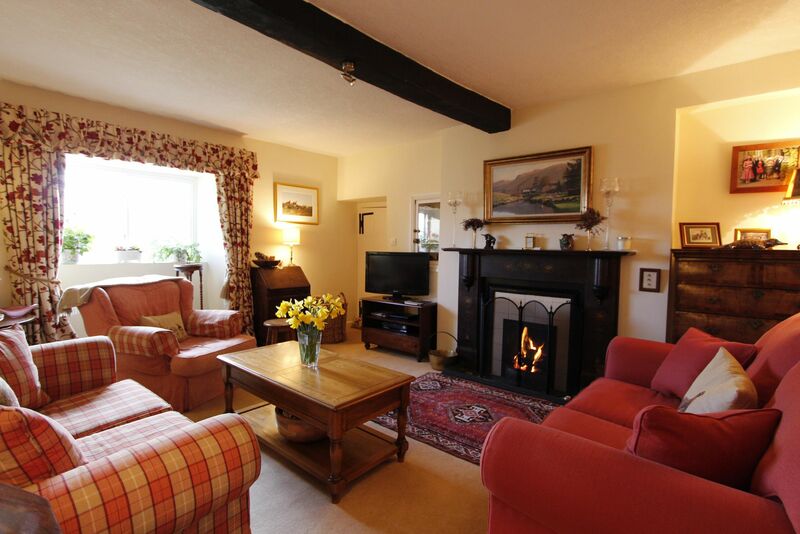 Sit by the fire, sleep well in comfortable bedrooms, admire the vases of flowers in every corner. Sarah uses local ingredients for breakfast: dry cure bacon, award-winning black pudding, Wensleydale butter, home-laid eggs, kippers, or a continental with croissants and jams. Set off afterwards for long walks in the beautiful Dales. Admire the views from the walled garden, spot all the different birds; there are lively market towns, castles and stately homes nearby. Further afield, Harrogate is 45 minutes – for the famous Betty’s, Turkish Baths and great shops. Packed lunch £7. Pubs/restaurants 1 mile. Singles £65-£75. Extra bed/sofabed available £40 per person per night. This is a traditional English farmhouse with a warm Yorkshire welcome by the fire on a cold day. Sarah is delightfully cheerful and the hospitality is homely and generous. 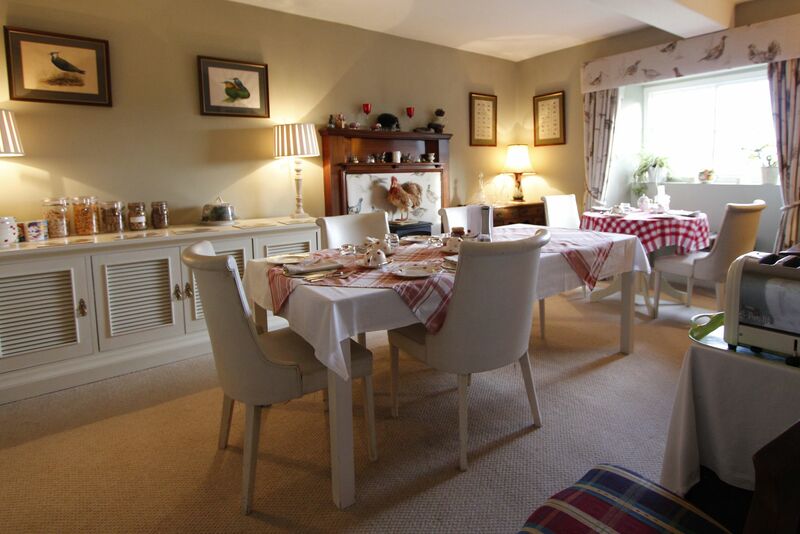 Firs Farm feels like a comfortable family home where you will be treated as a special guest! The latest bedroom is freshly decorated in aquamarine and gold, a king size bed beckons with crisp white sheets and fluffy robes to wear after showering in the new slick en suite. One of the best B and Bs we have ever stayed in! The location is beautiful and peaceful, the room was very comfortable with an amazing view over the fields and hills. When we arrived all we could hear was birdsong. Sarah welcomed us warmly with tea and home-made cakes, which she also offered us in the afternoons when we returned each day - a lovely surprise. The breakfast was excellent, freshly cooked with fresh fruit salad everyday and plenty of choice. Sarah is a mine of local information and has maps which she kindly lent us, marking up our route! Highly recommend this lovely BandB. I cannot rate this quintessentially English and heart-of-Yorkshire B&B more highly; it is a genuine delight. The accommodation is in a beautiful Yorkshire stone farmhouse with views out onto God’s country from all bedrooms. A great night’s sleep was followed by a warm welcome to breakfast in the morning by Sarah. Her hospitality was unobtrusive whilst being sharply attentive and the breakfast was plentiful and certainly fit for a day in the hills. 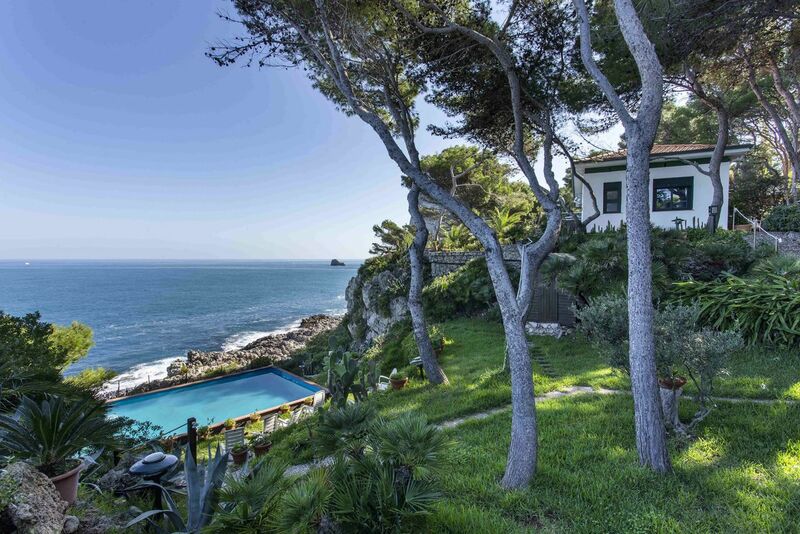 Overall the cost was an absolute bargain for such a warm welcome, comfortable accommodation and beautiful location. Having had a wonderful weekend at Firs Farm in Masham I feel compelled to reward such a first rate B&B with feedback. It was easy to find and our welcome was genuine and warm and included tea and a selection of homemade cakes. The accommodate was beautiful and the views from our room, breath taking! Sarah and Richard were excellent hosts. So attentive to our needs, going that extra mile to make our stay enjoyable. I would visit again without hesitation. Superb! Firs Farm is a wonderful oasis of calm and comfort, and Sarah a delightful hostess, providing fabulous food, plenty of ideas of things to do and places to eat, and guide books and maps whenever we needed them. We had a great welcome when we arrived - tea and home-made cake provided by Sarah and her daughter Emma inadvertently wearing matching tops! We felt we were part of the family, and so enjoyed our stay. Everything was perfect, including the extremely comfortable bed! If we're in that region again, we'll definitely stay here, if it's not completely booked up! Fantastic B&B,Lovely location, Great Hosts. Sarah and Richard was very informative and knowledgeable about the area and the history of the farm and its buildings. Nothing was too much trouble for sarah. Will definately recommend to friends and family, and hopefully visit again. Super rooms , super food but most of all super hospitality. We all loved it and will definitely return. What an absolutely stunning place to stay. From the warm welcome to the beautiful bedrooms, stunning surroundings, gorgeous homemade cakes (so nice! ), beautiful breakfasts and top tips from Sarah on places to go there is nothing to find at fault with Firs Farm. This is one of the best places we have stayed - well done Sawdays for finding this gem of a place. Cannot recommend a visit to this B&B enough. It's just wonderful! THIS TRULY IS A SPECIAL PLACE TO STAY. THE SETTING, THE PEOPLE AND THE PLACE LIVE UP TO ALL EXPECTATIONS. WE HAD PLANNED A MYSTERY WEEKEND FOR OUR FRIENDS WHICH INCLUDED ATTENDING AN EVENT AT NEARBY SWINTON PARK AND SARAH & FAMILY KINDLY AGREED TO KEEP THE SECRET AND GO ALONG WITH OUR PLANS. WE HAD TEA AND CAKES ON THE LAWN ON OUR ARRIVAL AND THEN SARAH VERY KINDLY TOOK US ALL TO THE EVENT, OUR ROOMS WERE IMMACULATE & BEAUTIFULLY DECORATED. BREAKFAST WAS A FEAST. NOTHING WAS TOO MUCH TROUBLE. DEFINITELY RECOCOMMENDED & ALREADY TRYING TO FIND TIME TO RETURN TO THIS DELIGHTFUL PLACE. We had a wonderful stay at Firs Farm. The bedrooms are the most stylish and comfortable rooms we have stayed in - fresh and homely. We had a delicious breakfast sat in the gardens admiring the beautiful scenery- everything we ate was pleantiful, fresh and either home made or very local (bacon). It was very difficult to leave this little haven, the hosts were very friendly and accommodating. I would recommend this B & B to anyone and advise all guests to request homemade flapjack with their welcoming coffee upon arrival!! 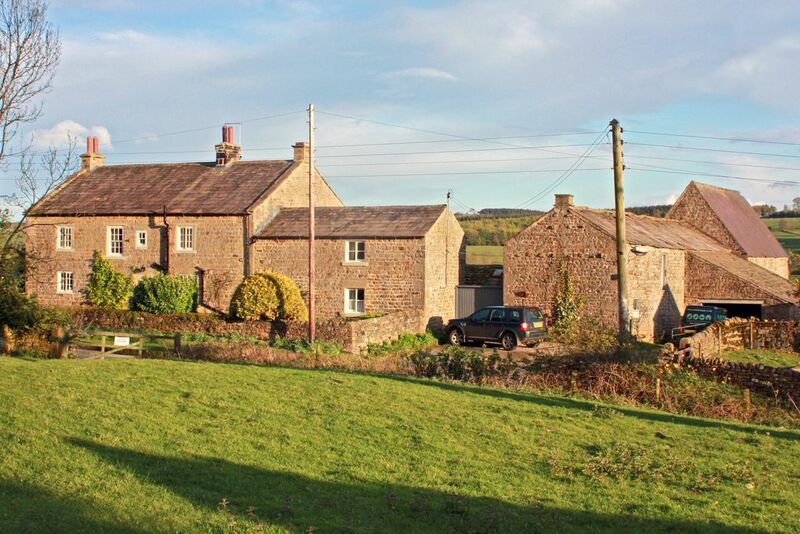 The traditional, Grade II listed Yorkshire stone farmhouse is in the peaceful hamlet of Healey, within an AONB with views over fields, streams, dry stone walls – and onwards to the heathery moors. Circular walks from the door range from three to 24 miles, some with pubs en route; the Six Dales Way passes nearby. The nearest pub is a mile away; many more within a ten-minute drive. Masham, on the river Ure, is three miles away and has two breweries (The Black Sheep and Theakstons: book a tour), and the Spirit of Masham Gin Experience, pubs, independent shops, cafes and markets on Wednesday and Saturday. The farm is home to Richard and Sarah along with spaniels Midge and Twig, Hector the horse, chickens and sheep. Richards farms and works in the food industry; Sarah makes bespoke curtains and furnishings. They are Yorkshire born and bred, passionate about the county, the Dales and local produce and love to share their knowledge of the region and help guests get the best out of their trip. Keen walkers, they can offer maps and advice – and sort packed lunches. They're charming, down to earth and funny – no standing on ceremony here.